Our full color digitally printed banners are printed in the United States on 13 oz. smooth vinyl scrim banner material. 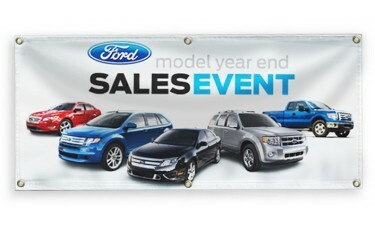 This printed full color custom vinyl banner is very resistant to the wear-and-tear of wind, sun, and rain. Add your company logo, name, colors, or message and display these banners inside or outside your home or your business for a variety of applications including parties, events, rallies, advertising purposes and many more.